Alex Hutchinson is a National Magazine Award-winning journalist. 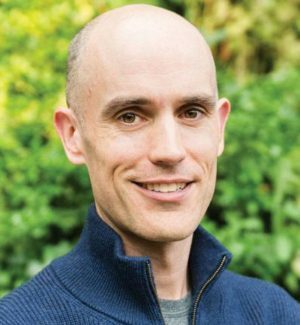 He writes mostly about science and endurance sports and is also currently a contributing editor at Outside, a columnist at the Globe and Mail, and a senior editor at Canadian Running. He was previously a Runner’s World columnist and contributing editor at Popular Mechanics. His latest book, ENDURE: Mind, Body, and the Curiously Elastic Limits of Human Performance is an exploration of the science (and mysteries) of endurance. Alex is also an avid runner. Alex’s start to running and favorite place to run. Increasing endurance and what research shows is the way to do that. The mental and physical components of resiliency. Why challenging yourself mentally and emotionally is difficult for most people. The role the brain plays in physically limiting the body as well as helping it push limits. How the 4-minute mile barrier is a great example of the mind-body paradigm. How you can help your brain help your body push physical limits. Emotional endurance and how it transfers to physical endurance. Why it’s so important to push yourself out of your comfort zone on a regular basis. How Alex came to know and become friends with Malcolm Gladwell. Realization Alex had that put him on a path to journalism and writing. Mistake or failure Alex has learned the most from.